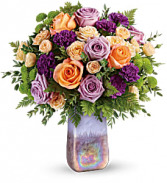 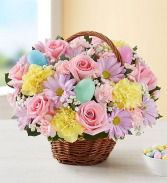 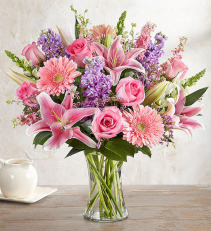 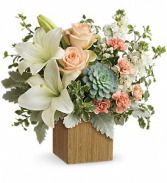 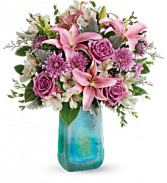 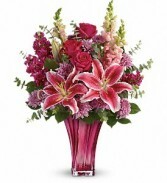 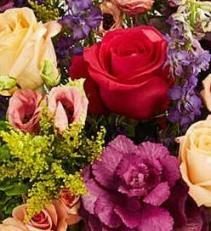 This elegant bouquet features hot pink roses, pink stargazer lilies, burgundy stock, lavender cushion spray chrysanthemums, pink snapdragons, spiral eucalyptus, and lemon leaf. 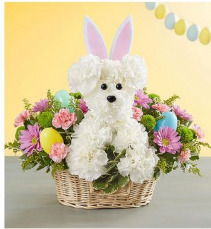 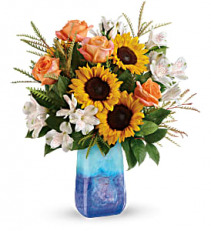 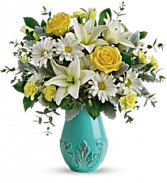 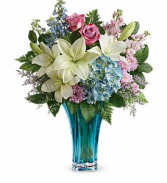 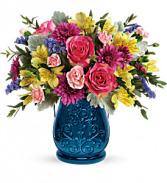 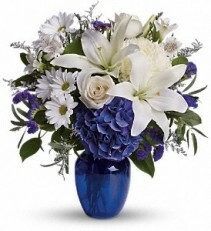 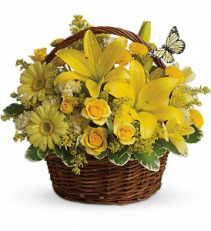 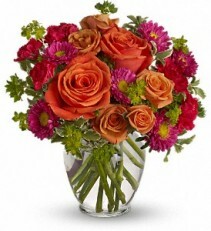 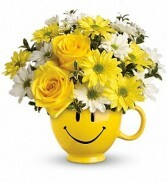 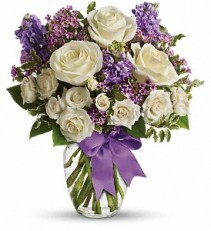 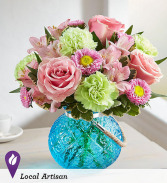 Delivered in a Bold Elegance vase. 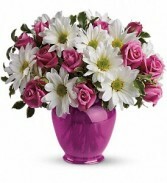 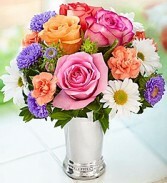 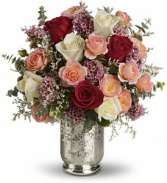 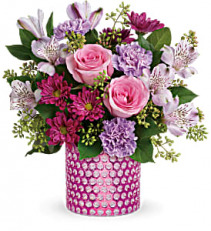 white daisies and pink roses in a classic fuchsia ginger jar.